First of all: the Internet in this hotel is really bad. So unless it magically gets better, I won’t be able to upload any pictures for this post :-(. You’ll have to settle for my giant wall of text :-(. The day started out well: Pamela turned off her alarm before I even woke up, and then she fell back asleep! The wake-up call that our tour manager set for us did wake us up, but we ended up rushed as a result. And then, when I put my shoes on, my shoelace snapped. So that was awesome. Today was a very scenic day. We went to the Lake District, which is, if I understand it, is a sort of national park. And technically, there’s only one “lake” there; the rest are “mere”s and “water”s. 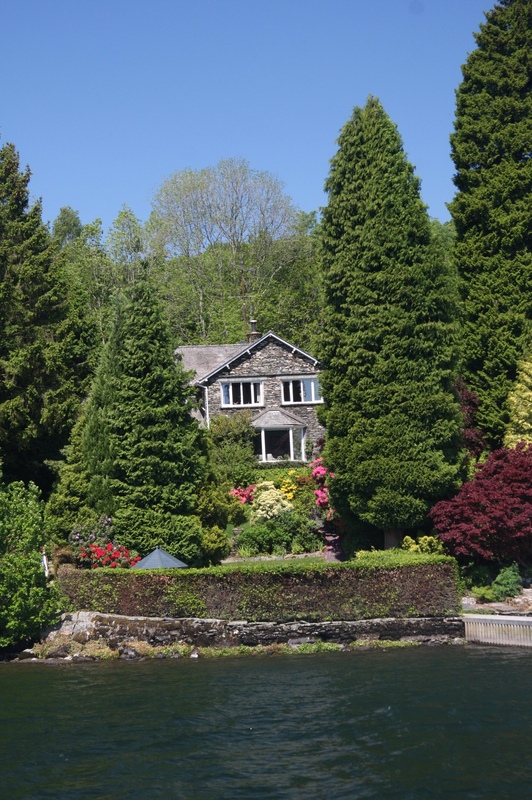 We went to a lake called Windermere, where there’s a town called Bowness-on-Windermere. It’s basically a resort town like Gimli or Winnipeg Beach, but a bit larger. It’s a very popular destination for local tourists, and since it was a gorgeous Sunday afternoon, the place was crammed. First order of business was a lake cruise. We got on a boat, it drove us around the lake for about 40 minutes, and someone occasionally told us something about what we were boating past. It was really very pretty, and we had perfect weather for it. The shoreline is very hilly, and very lush and green, with lots of different types of trees. That’s something I’ve noticed around here: while a forest in Manitoba will normally have one or two dominant types of trees, here it’s a whole mixture. It’s kind of cottage country at Windermere, but really expensive cottages. Apparently plots of land start at around £3,000,000, so the houses on them are very nice indeed! 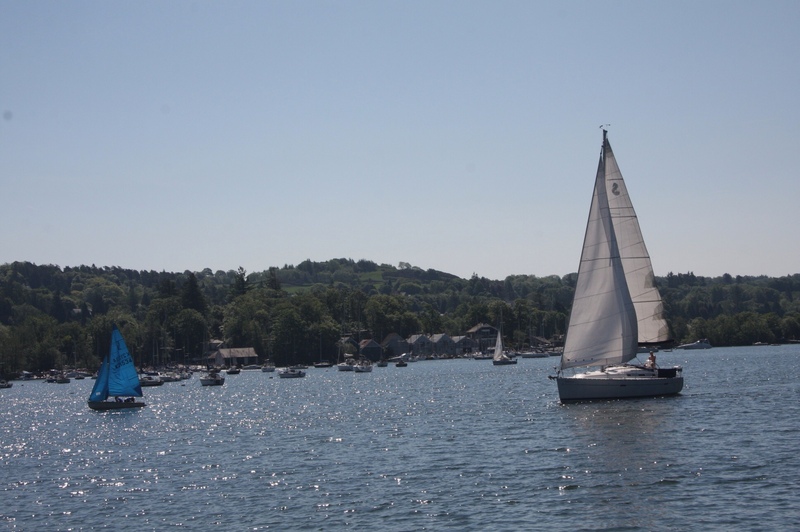 There were also loads of sailboats out on the lake, and overall it was a nice relaxing outing. It was kind of weird, I thought, to be on vacation doing the things that British people do on a day out. After the cruise, we had some free time in town. 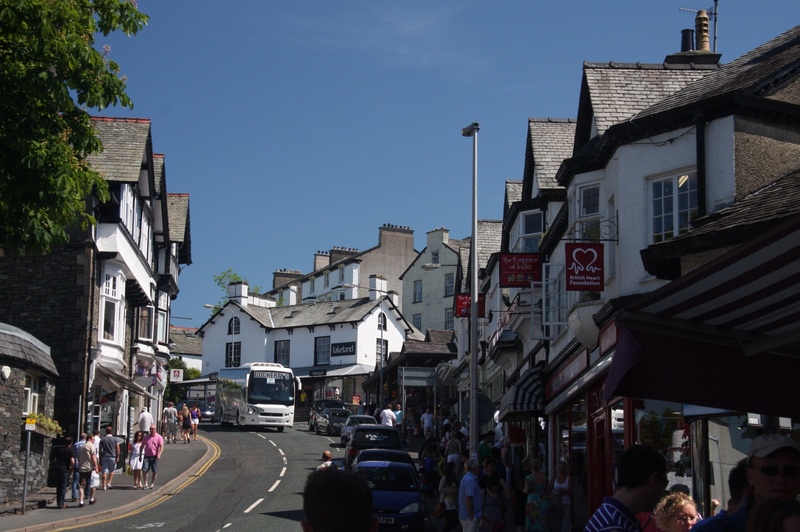 Two well-known authors lived in the area: William Wordsworth (not great for tourism) and Beatrix Potter (amazing for tourism). There’s a Beatrix Potter museum and everything. So we wandered around a bit, bought a quick lunch (exactly the same as yesterday’s, actually), and did a little souvenir shopping. We also bought some locally-made ice cream (delicious! ), admired the quantity and variety of tourists (including a group of Germans in lederhosen), and listened once again to the locals enthuse about how amazing the weather is. Overall, I found the town felt a little fake. It reminded me of Jasper; it felt like it was deliberately built to look quaint and old when it isn’t really. Then it was onto the bus to Keswick (pronounced “Kezzick”). Along the way we drove down what would have been a typical lakeside road, except there were sheep everywhere. Seriously, this place is just full of sheep. Sometimes they’re in pastures, other times they seem to just sort of be wandering about. 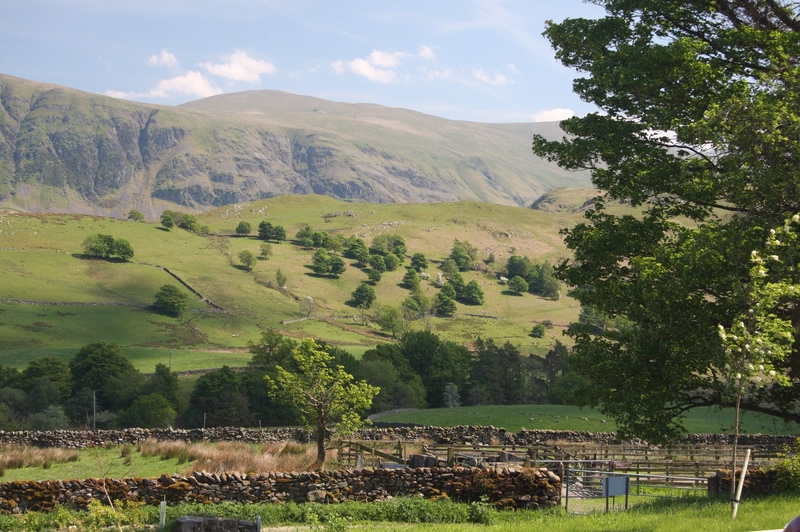 The countryside is divided up into all these little pastures by…not fences, but stone walls. Anyway, at Keswick, we were doing some outdoorsy activities. 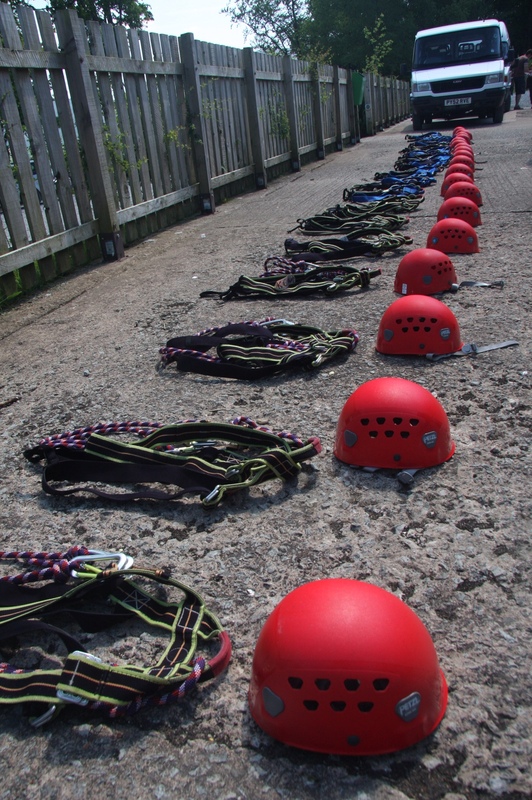 Some people did canoeing and kayaking…most (like me) did something called a “high ropes” course. This was a lot of fun: there are a bunch of ropes and cables and swinging platforms and such, all tied to trees in this wooded area, and you put on a climbing harness and clip yourself to safety cables and clamber along the course, which gets steadily more challenging — and higher — as you go. At times, I’m sure we were higher than a second-storey window. It was good fun, but very tiring. The whole time, the sheep in the neighbouring field baa’d at us. I think they were laughing. 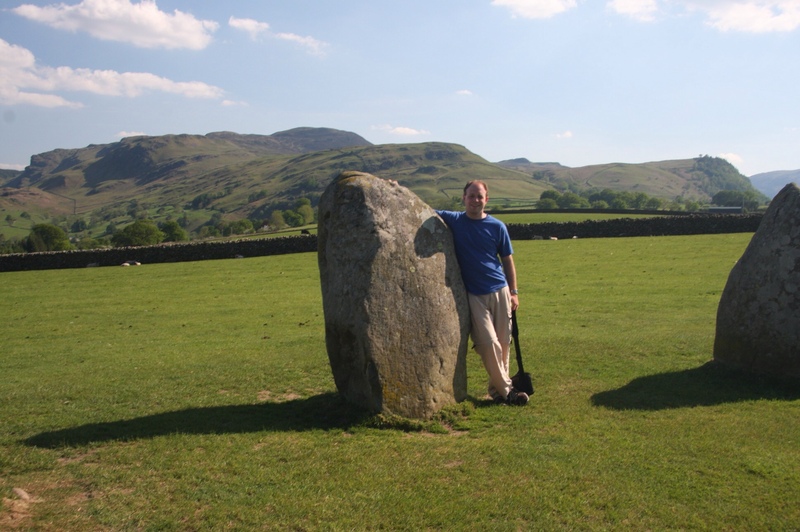 Afterwards, we wandered over to Castlerigg Stone Circle. 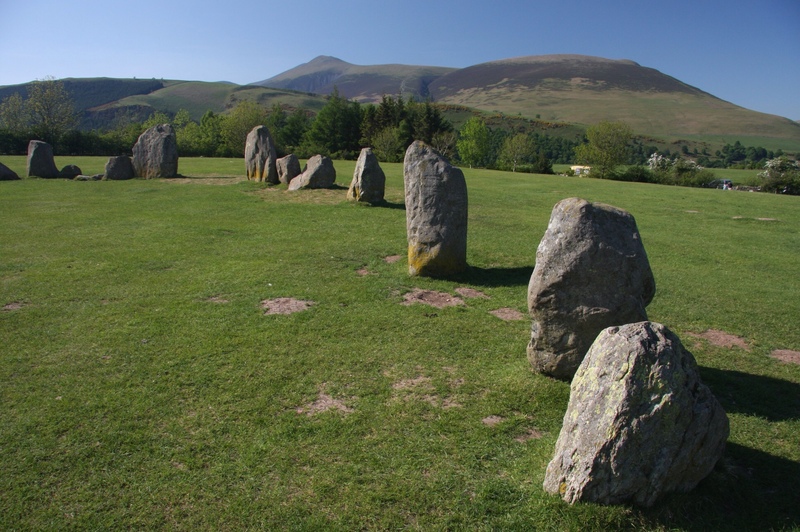 This is another stone circle, akin to Stonehenge, but the stones are just vertical; there are no cross-pieces. And because it’s not nearly as famous, it’s not protected — you can walk right up to the stones, touch them, hug them, climb on them…it was great! The legend is that you can’t count the stones; you’ll get a different number every time. Though the group eventually decided that there were (probably) 49…there was still some disagreement. After dinner we headed back to the bus. We were early…a lot of other people were too. Everyone was hot and tired and just hanging around in the shade. For the night, we’re in a place called the Shap Wells Hotel. 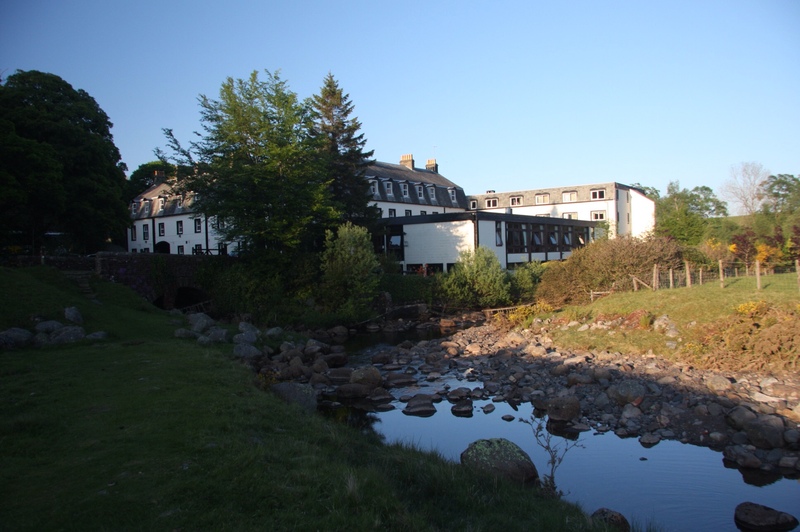 It’s near the town of Shap, and is in fact a Best Western. Our hotel. It’s a rough life. And the night has been good and surreal. First, this hotel is just strange…bizarre patterned wallpaper and rich leather furniture in the lobby and old wooden furniture and random three-step staircases halfway down hallways and an inscrutable room layout. Second, Pamela and I are having our first drinks of the trip (she’s having some sort of pear cider, I’m having Glenfiddich). Third, an absurd female lounge singer is singing covers of an amazing variety of music from about a five-decade span. Fourth, there are an enormous number of very old people here…and they’re dancing along to the lounge singer. And finally, we played a “blind date” game to pick two fake couples to stage a wedding tomorrow. I’ll tell that story…well, tomorrow. The Internet access here seems to be getting progressively worse, so if this post, even without pictures, makes it online, we can all consider ourselves lucky.